New Delhi, Jan 30 (IANS) Make-up and prosthetics artists in Bollywood are now getting their due recognition and being considered a crucial part of filmmaking, says acclaimed British make-up artist Clover Wootton. Asked about the difference between Hollywood and Bollywood when it comes to make-up design and the use of prosthetics, Wootton told IANS in an email interview: "In Bollywood, make-up design is being recognised as a crucial part of how the film will look, its function in supporting a narrative and bringing characters to life. This hasn't always been the case. Make-up artists are finally being appreciated for their creative inputs." To what extent can make-up add to a film's narrative? "When designing a look for an actor/actress, you not only think about who that person is, but also what their characters' journeys are. Are they ageing? Do they become a mother? Do they get a new job? How the characters change throughout their journey can be reflected by changes in their hair and make-up," she said. 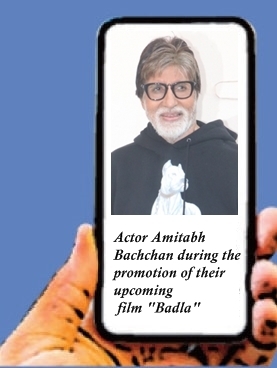 "Actors have a brand image to maintain and in India in particular there are some actors who are known more for their star power than their acting ability. Pushing them to experiment beyond their normal image can be challenging. So you need to find a balance between the director's vision and the comfort level of the actor," she said. Talking about challenges, Wootton shared: "'Pari' has been my most challenging film to date. There were a number of different looks and many prosthetics. Luckily, I had an actress who trusted me and was prepared to completely change herself." "My next project will be with Deepika Padukone in Meghna Gulzar's film. It's a sensitive subject and I'm very much looking forward to working with this team," she shared.